Plunify’s AI Lab is a cloud-based development environment that can be pre-loaded and pre-configured with Machine Learning / Artificial Intelligence (AI) software like CUDA and Caffe. AI Lab also supports FPGA tools like Vivado and SDSoc. Because of the ubiquity nature of cloud computing, AI Lab’s functions are available for every machine that has a browser, even a Chromebook. This feature is especially valuable for the education industry, and one of our partners is V3 Technology. Founded in 2008, V3 Technology focuses on the development and production of high-performance programmable systems, and provides complete solutions for wireless communication, intelligent vision, and test/measurement. Meanwhile, V3 Technology offers customized online and off-line learning courses for college students and engineers. The company has two teaching centers in Beijing and Shanghai respectively. With exciting trends in Artificial Intelligence (AI), many universities are setting up related courses without necessary domain expertise. One of Singapore’s top technology educational institutions, Singapore University of Technology and Design (SUTD) teamed up with V3 Technology to deliver an AI/Machine Learning course. The relevant department of SUTD had limited budgets for PCs and software, not to mention limited time to set up, configure and verify the necessary development environment for every student. A lot of students have personal laptops which could not satisfy the system requirements of the software. Installation is a hassle. V3 Technology believes that cloud computing offers the best solution for SUTD, so the company approached Plunify to provide the right balance of powerful cloud servers and software development environment. Plunify Cloud is a cloud platform offering on-demand compute resources from multiple cloud providers such as Amazon Web Services (AWS). 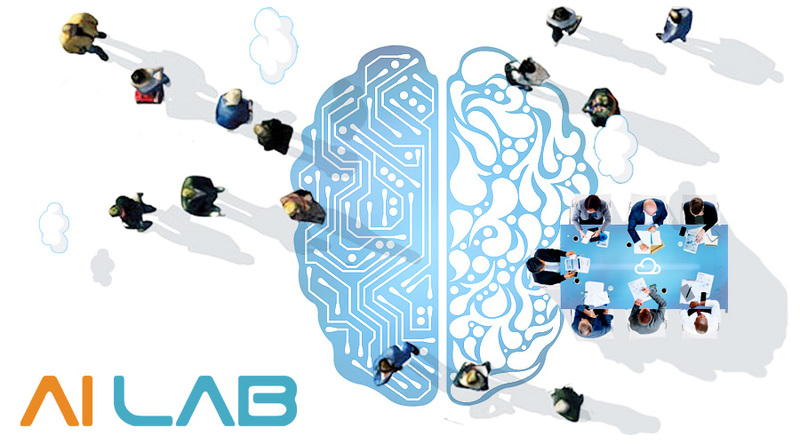 AI Lab is an application on the platform that provides a virtual environment for this purpose. Figure 1 – AI Lab user interface. Users can select the desired tools and servers. AI Lab allows users to access cloud servers (including FPGA servers) simply via any computer with a browser and to run AI projects in a pre-installed, pre-configured environment. In terms of cost, AI Lab inherits the pay-per-use cost model from Plunify Cloud. Users only need to pay for using hours of compute resources, bandwidth, storage. Furthermore, Plunify Cloud has exclusive on-demand and unlimited Vivado licenses for users of Plunify Cloud. In conclusion, AI Lab is a perfect fit for online education. A teacher or a student needs only a laptop with a browser and nothing else. For schools, the platform is more than cost-efficient as it saves a great amount of hassle and budget for purchasing and setting up hardware and software. AI Lab is AI-ready. Figure 2 – AI Lab user’s flow. In this case, Plunify adapted AI Lab according to V3 Technology’s unique content specifications. Consequently, the solution not only satisfied the software and hardware requirements of V3 Technology and SUTD, but also provided extreme flexibility to the students to practice AI projects wherever there was a network connection. Just as importantly, AI Lab offered great value at a cost that fitted within SUTD’s budget. In a matter of days, V3 Technology and the university was able to go from conceptualizing to launching a full AI course. As a result, this made it easy for students to attend and take the course. Currently, Plunify Cloud uses AWS Cloud servers, with more cloud-providers on the horizon. So you are interested, please register a Plunify Cloud account and start the cloud experience now.